Bobby Wood joined BJU’s Cabinet as chief enrollment officer in 2015. Tasked with leading student recruitment efforts, he oversees admission, financial aid, university events and enrollment-related groups. Dr. Wood comes most recently from Harvest Ministries in Guam. As minister of education from 2011-15, Bobby successfully oversaw strategic planning and activities of both Harvest Christian Academy and Harvest Baptist Bible College. Prior to serving in Guam, he was chief operating officer of Northland Mission, Inc., in Dunbar, Wisconsin, for nine years; a research assistant while completing his PhD in educational leadership at Clemson University; and camp director, business manager and board member of Hawaii Christian Camping Association in Hilo, Hawaii. 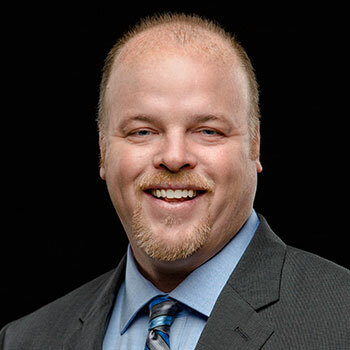 Bobby holds a BS from BJU in financial management (1994), an MS from BJU in biblical counseling (1997) and a PhD from Clemson in educational leadership with a concentration in higher education administration (2008). He and his wife Robin have three children: Cotter, Caeleigh and Caeden.